This isn't a review so much as an explanation as to why I enjoyed this book so much. 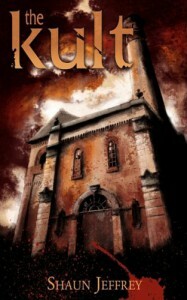 What I liked about "The Kult" was the sneaky way Jeffrey has in keeping the reader guessing as to what's going on. I also loved the characters, as each one of them had a life and personality of their own and never really deviate from that. What I liked the most, however, is what I imagine it would feel like to the average Joe, like me, if one were to unwillingly commit murder. I think that Shaun Jeffrey captured very well not only the feeling of guilt, but the stain, the haunting, the physical sickness, an experience like that would leave upon the soul.